Despite public awareness about the many dangers of drunk driving, countless individuals are still arrested for violating DUI laws. Often, a DUI arrest is due to a careless or reckless mistake. You may have had just one drink at a social event, for example, yet due to factors such as your body type and weight, you may still be over the legal limit. Regardless, it’s imperative to contact a DUI lawyer in La Plata as soon as possible if you’ve run into legal trouble. 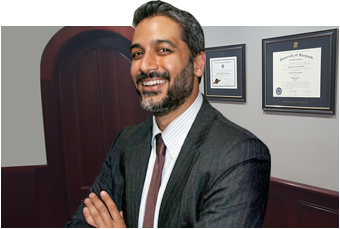 Your criminal lawyer can help you understand your legal rights, represent you at your hearing, and guide you through the legal process. As your criminal lawyer can explain to you, you can be charged with DUI if you’re found to have a blood alcohol content (BAC) of 0.08 percent or higher. If you’re found to have a BAC of 0.07 percent, you can be charged with DWI. You could also be facing criminal charges if your BAC is at least 0.04 percent and you’re a commercial driver. Individuals who are under the age of 21 can be charged for having a BAC of 0.02 percent or higher. Maryland DUI law includes a regulation regarding implied consent, which means that all drivers on Maryland roads are presumed to have automatically given their consent to take a chemical test. Your attorney at law would likely advise you to cooperate with the officer and take the chemical test. If you refuse to do so, your license could be taken away. Furthermore, if you’re convicted of DUI and you refused a chemical test, the judge could order you to pay an additional fine of up to $500, plus two months in jail. The penalties for a DUI conviction are quite severe. If it’s your first DUI conviction, you could be ordered to pay a fine of up to $1,000, serve up to a year in jail, have your license revoked for six months, and accrue 12 points on your license. If you’re convicted a second time, you could be ordered to pay up to $2,000 in fines and serve at least five days in jail with the possibility of up to two years behind bars. You’ll also have your license revoked for one year, have an ignition interlock device, and be required to take an alcohol abuse program.